Feria De Londres, the Spanish Festival on the South Bank, is returning to London for 2018, running from Friday 25th to Sunday 27th May, at the new site of Bernie Spain Gardens, behind the Oxo Tower. It's free to attend, and will be full of food stalls, produce, bars - with sponsor Tio Pepe - workshops, live music, and even Flamenco dancing. Sounds like a great day out! 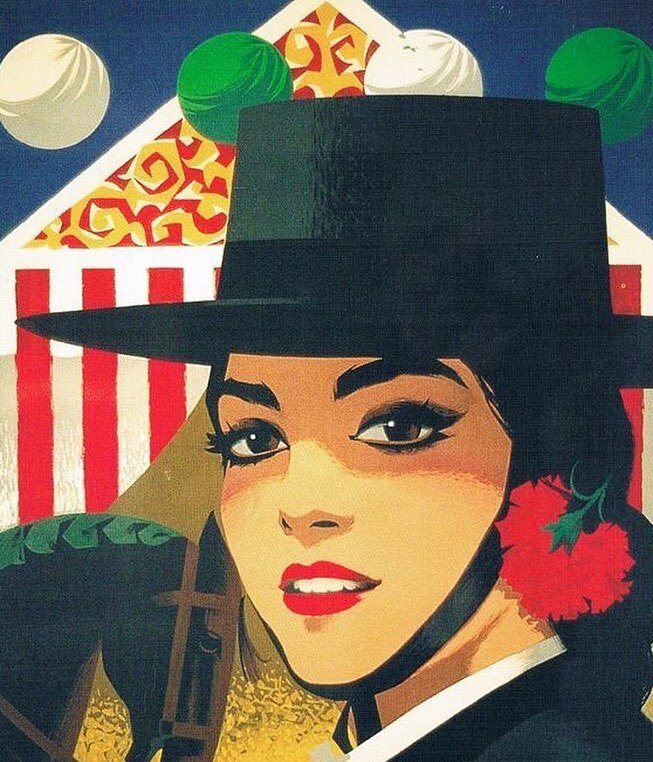 "This Spring Bank Holiday, Feria De Londres, is bringing its famous Andalusian carnival spirit back to London’s Southbank. Taking place this year in the beautiful and aptly named Bernie Spain Gardens, Feria de Londres will once again line the banks of the Thames with colourful stalls serving up delicious Spanish tapas, cocktails and tastings from official sponsors Tio Pepe, vibrant Flamenco dancing shows, interactive workshops and live Spanish music. Inspired by Southern Spain’s traditional Spring fairs, Feria de Londres is a resplendent celebration of Spanish cuisine and entertainment. Such fairs date back to the Middle Ages and over time have evolved into huge regional events. Spanish cities, towns and villages come alive as hundreds of locals take to the beautifully decorated streets, brimming with food and drinks stalls, in celebration of Andalusian culture. Feria de Londres will recreate the scenesseen at many of Spain’s local Ferias. Throughoutthe weekend entertainers will be dressed in their finest traditional costumes and festival goers will be encouraged to immerse themselves in the fair as though they were in Andalucia rather than Southwark. Throughout the weekend, there will be chances for everyone to get involved with celebrations. From Sevillana dance lessons to flamenco rhythm workshops, Feria de Londres will also offer family-friendly activities, with activities for children in the form of face painting, hair styling, arts and crafts. To celebrate the richness of Spanish cuisine, guests will be able to tuck into tasty tapas and enjoy some flavourful seafood paellawhile enjoying the livespectacles on offer. Bright ‘casetas’ will line the bank of the Thames and will be hosting some fine Spanish delicacies. Guests can choose between dishes such as Croquetas, Iberico Ham, Filled Tortillas and Pimientos de Padron or treat their sweet tooth with some delicious sugar coated churros. Also on hand will be Spanish food experts and producers offering special tastings. Across the Feria, there will be bars serving some of Spain’s most refreshing drinks – from ice cold Iberian beers tothe finest regional wines. The famous Tio Pepe, Spain’s favourite fino, will be hosting a series of sherry tasting masterclasses where guests will be able to explorethe different styles of Spain’s most iconic wine. On offer will be the traditional Andalusian cocktail, a refreshing Tio Pepe Rebujito, consisting of Fino sherry, lemonade, fresh mint on the rocks – the perfect summer drink. At the heart of every Spanish festival and celebration lies song and dance. Flamboyant Flamenco dancers will be giving passionate dance performances while creating the authentic Feria party atmosphere. While relaxing in the gardens, guests can immerse themselves in live performances. Live bands will take to the stage, capturing the essence of Spain through songful guitar, percussive cajon and rhythmic hand claps, while the party will be finished off by a rousing DJ set, designed to get everyone dancing. This May bank holiday Feria de Londres will transformBernie Spain Gardens to give Londoners an exuberant taste of Spain. This free festival is a celebration of all things Andalusian and is the perfect place for families and groups of all ages."